This is not a new article, but it’s something that resurfaces around this time every year. Or maybe I just reread it because it gives me a nice holiday chuckle. Both Marv and Harry suffer through their own fair share of bumps and bruises, each seemingly topping its predecessor. A professional finally sat down and diagnosed each injury. I’ve provided a few excerpts below, but the article in its entirety is well worth the read if you’re a Home Alone fan. Enjoy, ya filthy animals. The set-up: Marv and Harry try to sneak into the McCallister home by sweet talking Kevin from the back door. Kevin, meanwhile, points his BB gun through the doggie door and directly at Harry’s groin — and shoots. When Marv goes to investigate the source of Harry’s pain, he is met by the same BB gun, which is fired at extremely close range to his forehead. The set-up: While Marv is getting an iron to the face, Harry tries to enter the home through the front door. The first attempt doesn’t go well, as the stocky burglar slips on the icy steps and falls to the ground, landing with a thud on his back. Easing up a second time with the help of the railing, Harry makes it to the front door, reaches for the doorknob — which we see is literally burning red — and grasps the searing handle, the pain of which forces him once again down the icy steps. Yankees Land Reigning MVP – But Do They Know How He Eats Kit Kats? The Rockefeller Center Christmas Tree Looks Amazing. So Why Don’t They Do It Every Year? In short, it’s a medical miracle that Marv and Harry live to see another day, let alone another movie. Honestly this is one of my favorite articles ever written. It should win a Pulitzer, it’s that good. I offered only 2 of 7 full length medical analyses. Seriously, if you’re a Home Alone fan, which you are, I implore you to give it a full read. The way doctors speak makes me feel like a huge dummy, and I’m no stranger to big words. They’re smarter than us, and they know it, and they don’t shy away from their medical nomenclature. I can try to sound smart all I want but my lexicon doesn’t come close to measuring up to an MD’s. You can’t make this stuff up. You see these events play out on your television screens every December, and then you move on. 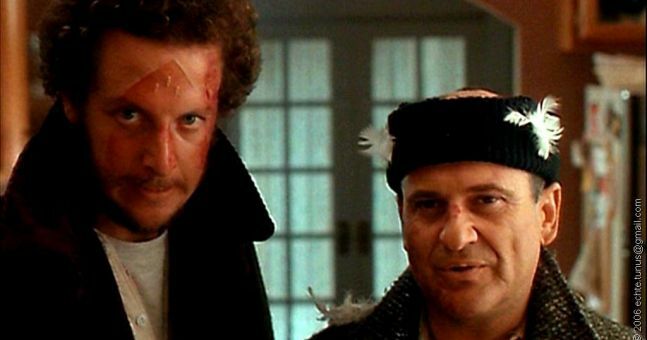 They’re hilarious as they unfold, but they make no real lasting impact, probably because the Wet Bandits leave the scene rather unscathed. But when you read the implications of each beating, it becomes 10x as funny. What a movie. I’d love to read a similar piece on Home Alone 2; I can’t imagine the verbiage that’d be used for when the apartment literally explodes.